Go and get information and help if needed! *Bring with you any papers that deal with your problem. Do you, a loved one or friend have a legal question or problem you want to ask an attorney? If so, this is your opportunity to talk with an attorney to get some answers! A lawyer will talk with you and try to give you an answer. They may only have 10-15 minutes to talk. The lawyer won’t be able to take your case. They won’t be able to go to court with you. THE CLINIC WILL STOP TAKING NEW CLIENTS AT 12:30 PM SO PLEASE ARRIVE BEFORE THEN TO ENSURE SUFFICIENT TIME TO DISCUSS YOUR PROBLEM. 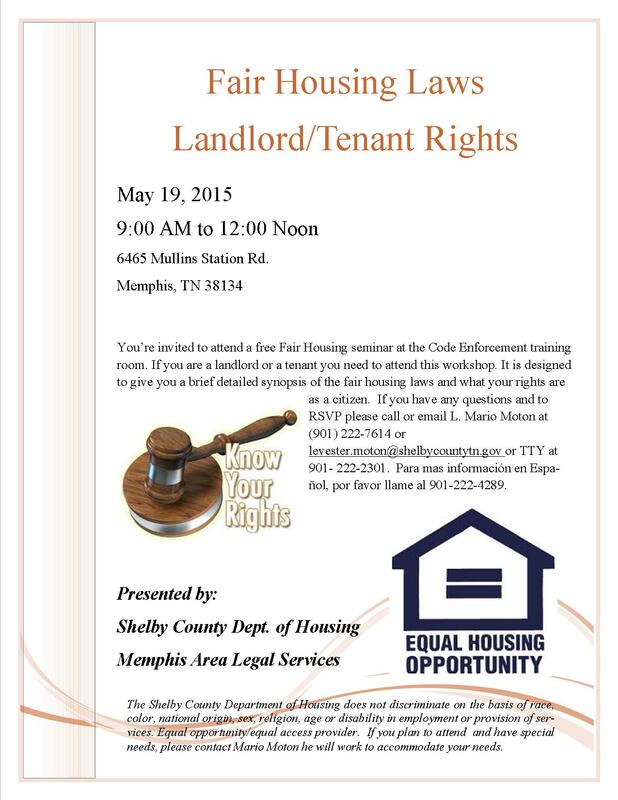 This program is a joint project of the Memphis Bar Association to Justice Committee, Memphis Area Legal Services and the Tennessee Bar Association TBALL class. All attorneys and paralegals are volunteers. For additional information you can contact Linda Warren Seely at 255-3417.